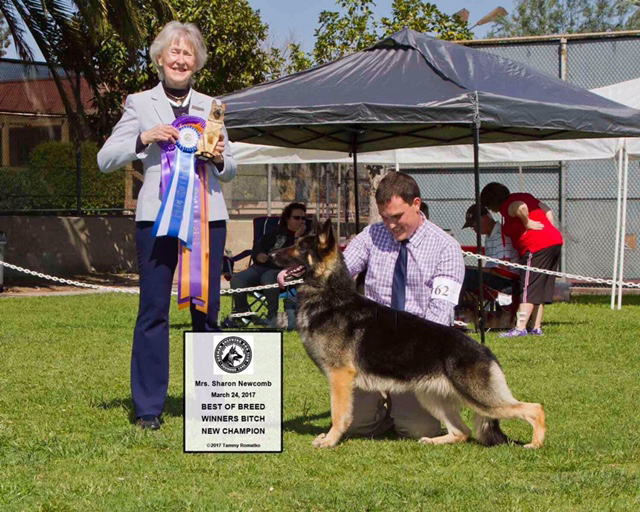 Sharon Newcomb, owner of Top Dog Kennel, has been involved in dogs for over fifty years as breeder, owner handler, professional handler, and trainer (obedience and one field trial lab). 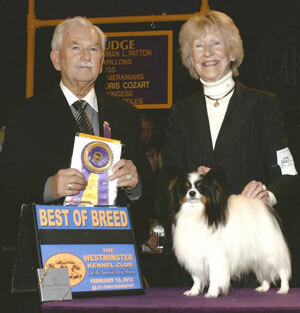 For more than thirty years she has been an AKC International conformation judge. Sharon has bred or owned: Weimaraner, Min. Poodle, Shetland Sheepdog, Pomeranian, Pekinese, German Shepherd, Papillon, Anatolian Shepherd, Pointer, Cavalier King Charles Spaniel, and Chihuahuas. She has had Best In Show dogs in Pomeranians, Papillons, Chihuahuas, Pointers, Shetland Sheepdogs, German Shepherds. Sharon has given seminars on German Shepherds, Papillons, Anatolian Shepherds and Chihuahuas. She has judged in England, Ireland, Canada, Mexico, China, Sweden and Korea and at the Papillon National Specialty in four countries. David Michael Newcomb, retired Architect has owned and/or bred Best In Show Doberman Pinchers, English Pointers, Chihuahuas and Papillons.